Human Resource Background Checks (HRBC) is able to offer an Online Secure Basic Disclosure checking service. From 1 January 2018 Disclosure Scotland no longer provide Basic Disclosure checks for customers in England and Wales. Customers in England and Wales must obtain their Basic Disclosure through DBS (Disclosure and Barring Service). HRBC provides a dynamic and innovative approach to Online Secure Basic CRB checking, forming a solid client base, benefiting from the company’s highly skilled personnel, using the latest technologies and techniques backed up by a strong operations team and help desk facility. Our online system enables individuals and organisations to check information - that is available to everyone - and processed through Disclosure Scotland but covers the entire UK. Often referred to as a Basic CRB it is popular with employers as it allows them to confirm if a prospective employee has any current convictions. A Criminal Record Check at Basic Disclosure level is the lowest level of Disclosure. It only contains details of unspent convictions according to the Rehabilitation of Offenders Act 1974 which are held on central police records or will state if there are no such convictions. Human Resource Background Checks (HRBC) is a registered Umbrella Body with the Disclosure and Barring Service (DBS), previously known as the Criminal Records Bureau (CRB) and offers a Secure Paperless online police checking service for the whole of the United Kingdom through the services of The Disclosure and Barring Service. Our services provide employers, voluntary sector organisations and those in their care, with disclosure information, to assist in the recruitment decision, helping protect the vulnerable. Some employers will be under an obligation to seek disclosures on potential employees - this will be at either Standard or Enhanced level. 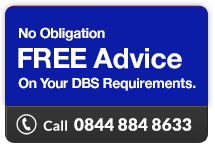 HRBC offers price competitive solutions for all your DBS requirements. Contact HRBC or Register with HRBC to receive further information.